For those who would like the privilege to learn and be initiated into the ancient healing energy medicine of Reiki, I offer you a very unique opportunity to experience how Reiki and Shamanism, combined under a single practicum, can work together to bring very broad and effective healing therapies to yourself and others. By combining Reiki and Shamanism in a single workshop, I have gone beyond the traditional presentation of these therapies to show you how their integration provides the Healer with the necessary skills to affect powerful life enhancing changes in physical, mental, emotional and spiritual health. In this diverse and highly experiential workshop, we begin with an empowering initiation into the First Degree of Reiki to open up your personal energy channels within, thus enabling access to the flow of Universal Life Force Energy. We then combine this energy medicine with training in the power of the Shamanic Journey where we find those Spirit Helpers willing to assist us in our healing work, and then explore the use of Medicine Stones in detecting and removing intrusive energies. We then progress into the Second Degree of Reiki where we explore how to step outside of time and space with distance healing therapies. If you have already been initiated into Reiki, with this workshop you can renew your initiation into this ancient healing energy medicine and expand the diversity of your healing skill set with the incorporation of Shamanic healing therapies into your practice. How can Shamanism help you evolve? What have scientists and visionaries said about consciousness? In this very experiential two-day workshop, we introduce you to the nature of Shamanism, the Shamanic Journey, Perceptual Shifts and working with allies from the world of nature. 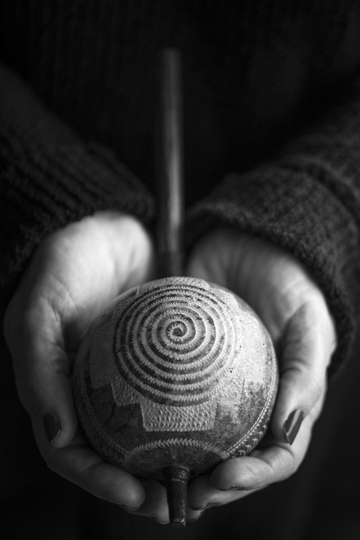 We will explore the Shamanic view of personal guidance, healing and spirituality and begin to develop your own relationship with the powerful world of the Shaman. For those of you seeking to delve deep into a very personal understanding and enlightening experience of the world of the Shaman and Medicine Healer, I invite you to join me for an intensive, highly experiential series of workshops based on the Medicine Wheel Teachings of North America and the Inka Shamanism of Peru. ​During each workshop of wisdom, knowledge and spiritual awakening, we seek to embrace the ancient prophesy of “the Eagle and Condor flying wing-tip to wing-tip”. The journey of these workshops will range in focus from developing a sound cosmology for our changing times to understanding the makeup of the Universe from the medicine person’s eyes. Receive personal initiations into the ancient traditions of the Medicine Healers of North America and the Shamanic Healers of South America. ​Build your very own powerful Medicine Bundle and/or Mesa to help you in all aspects of your life. Teach you how to connect with the empowering spirits of nature and your own spiritual helpers. Explore the many levels of consciousness, the power of choice and how to navigate these levels of consciousness by using Perceptual Shifts. In traditional Shamanic training, we model our explorations into the teachings of the Eagle and the Condor on what is known as the Medicine Wheel. This teaching/healing model can be found throughout the ancient medicine wisdom of the Americas and represents the cosmology of people living in close relationship with the earth. The basic four directions – South, West, North and East – are usually approached and explored in that order and each direction has qualities and understandings that are universally perceived by the medicine peoples. The South is where we begin by learning that our lives can only change if we let go of those things in our lives that have outgrown their usefulness and therefore do not support us any longer. In the West, we venture deeper into our shadow self, those parts of us that we do not normally want to see and those parts of our self that will do virtually anything to avoid pain and suffering, especially death. In the North, we seek wisdom that is typically beyond our conscious understanding. In other words, in order to find higher order solutions or answers to what troubles or questions we may have, we seek higher sources of understanding that do not contribute in any way to the source of the problem nor do they typically form part of our normal life experiences and knowledge base. In the East, we begin to look at our lives from a perspective of higher consciousness where we can see the macroscopic patterns of our lives and in the process envision a new destiny for ourselves. 4 weekends over one year – a commitment to the entire program is required. This weekend workshop is for people already working with an Andean mesa who want to engage their mesa in a more profound way. The Salka mesa is usually made up of black stones though can be made up of stones from a Salka Apu (mountain spirit). We will be creating patterns with black basalt stones, the opposing forces of male and female, water energies, and how to create an energetic equilibrium that manifests the solutions you are looking for. Conversely if you are dancing with endless chaos in your life, order and form can also be created with the Salka mesa. This shamanic technique comes from the Lake Titicaca region of Peru and has proven to be very powerful. ​Please contact me for more information and/or to register regarding any of the above programs - Workshops can be tailored to individual mentoring if requested.